Earthwork begins at The Preserve at South Branch. 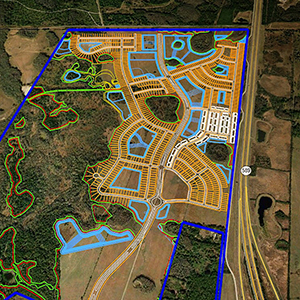 Over 700 acres of mixed use development. As part of Phase 1 DR Horton is constructing 313 single family and townhomes. Access improvements are being made at SR54 and South Branch Boulevard is being constructed north 1/2 mile into Phase 1. 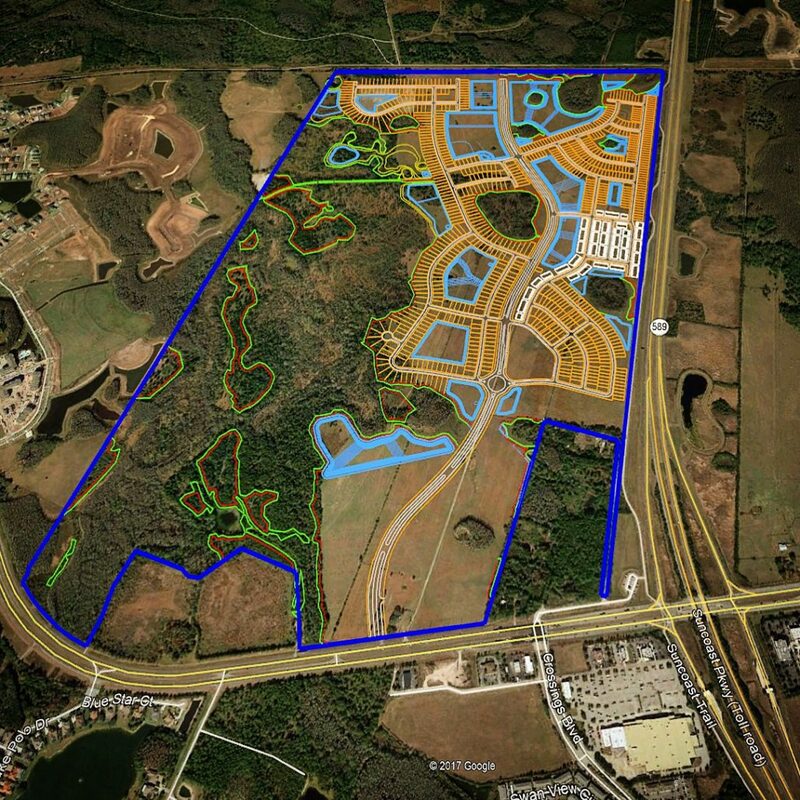 Master stormwater management ponds are being constructed along with water, reclaimed and wastewater distribution systems. Site contractor RIPA and Associates begins heavy earthwork on 10/9. Construction survey by GeoPoint. Master site planning, civil infrastructure engineering, environmental management and master stormwater management design by WRA.